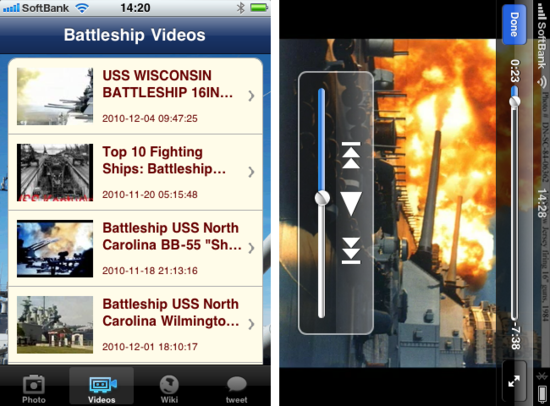 iPhone app: BattleshipWorld - Tons of videos of BATTLESHIPS!：Quantis,Inc. Quantis,Inc. 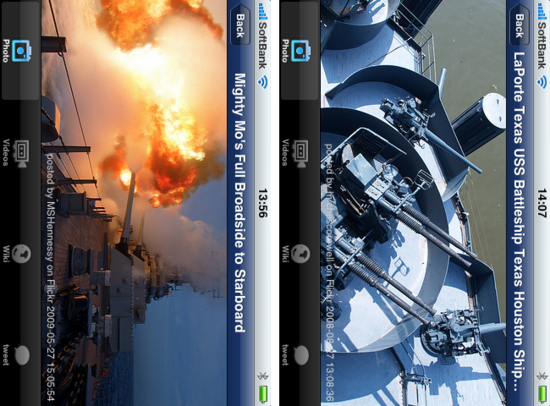 >> iPhone apps >> iPhone app: BattleshipWorld - Tons of videos of BATTLESHIPS! 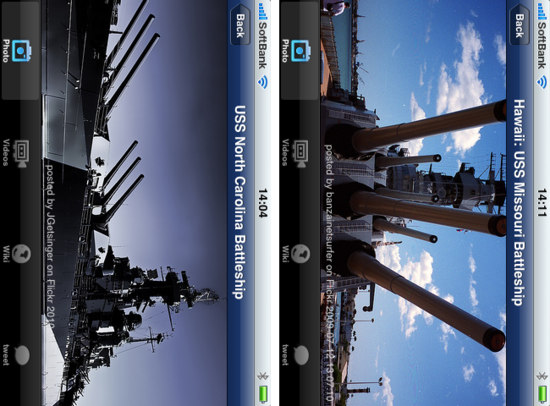 Explore the world of the battleships on your iPhone! 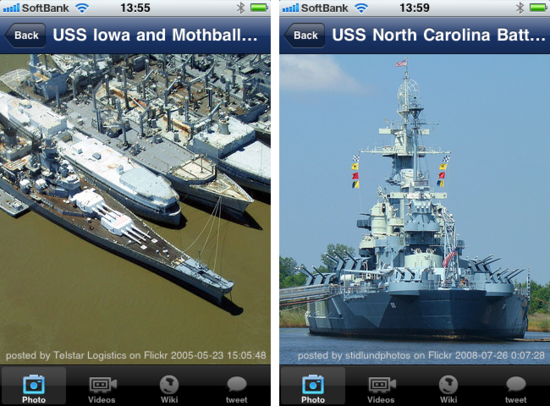 You can enjoy photos, videos and data library about battleships. The contents are updated at any times. 1) High resolution battleship's photos. 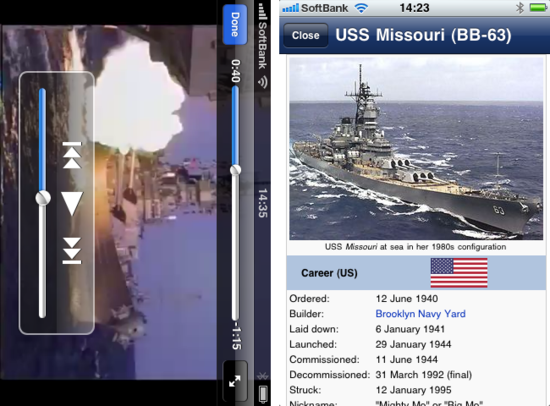 2) Battleship's videos with YouTube player. 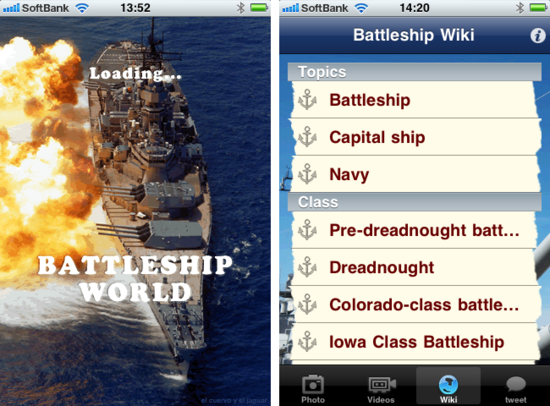 3) Battleship wiki data library. Battleship World requires internet connection.